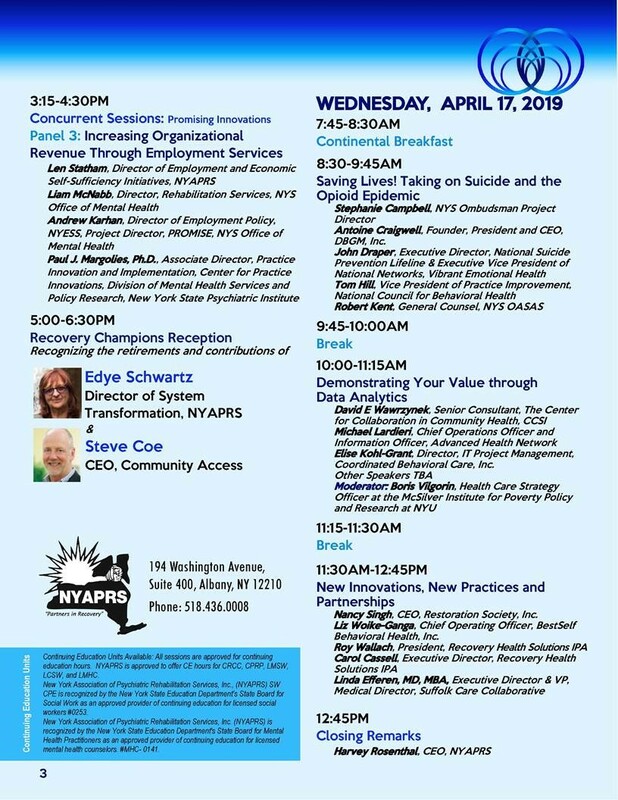 NYAPRS Note: Next month’s NYAPRS Executive Seminar will take a very personal look at the challenges behavioral healthcare agency leaders face in reconciling their lifetime commitment to advancing person-driven recovery focused services with the ever challenging demands of the new healthcare business environment. We’ll hear about this in our opening keynote “Maintaining Recovery Values in the Healthcare Environment” from our keynote “ David Covington CEO and President of RI International, a global organization with more than 50 programs located throughout the United States and abroad. And longtime NYS leaders Steve Coe, Michael Stoltz and Lenora Reid-Rose will explore “Navigating the Healthcare System with a Recovery Compass” in very personal terms in a panel discussion moderated by Edye Schwartz.